Alyson Shane is a writer and digital marketer with over 15 years' experience publishing content online. 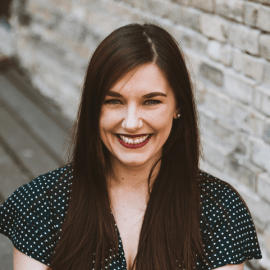 A graduate of the University of Winnipeg's Rhetoric & Communications program, she blends her hands-on knowledge of digital communities with modern content marketing practices to help businesses find, connect with, and grow their audiences in order to generate leads and increase their bottom line. Alyson has been recognized as one of Manitoba’s Top Social Media Influencers by CBC Manitoba, spoke at TEDxWinnipeg 2017 about the power of digital communities, and was recognized as one of Winnipeg's Hottest Bloggers by Shaw TV. Her digital marketing agency, Starling Social, specializes in copywriting and content marketing strategies for businesses from startup to enterprise-level.